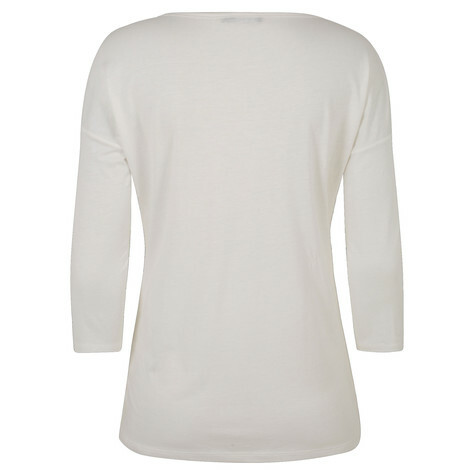 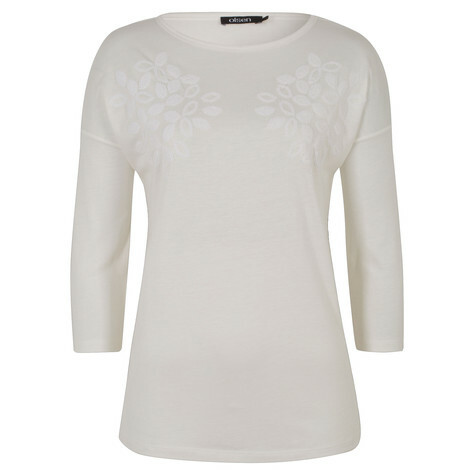 Made of a super-soft cotton blend, this t-shirt is features the wider Olsen "Collien" shape. 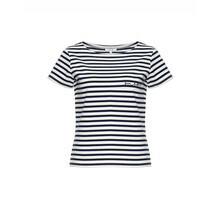 The cropped shoulders and sleeves in 3/4 length support the casual fit. 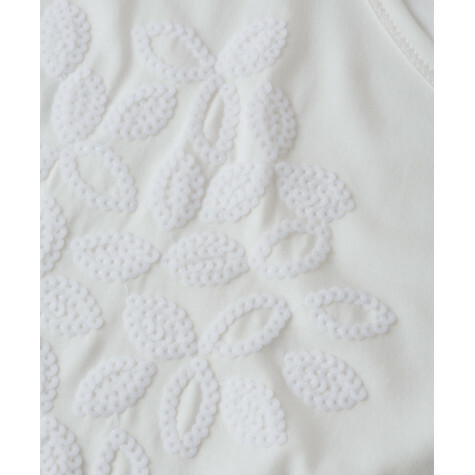 A special highlight are the sequined leaves that adorn the upper part of the shirt along the light boat neckline.